alaTest has collected and analyzed 73 reviews of iON Air Pro Plus. The average rating for this product is 3.8/5, compared to an average rating of 4.0/5 for other Camcorders for all reviews. Opinions about the image quality and design are on the whole positive. 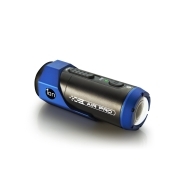 The portability and durability are also mentioned favorably, but the reliability and price get negative reviews. We analyzed user and expert ratings, product age and more factors. Compared to other Camcorders the iON Air Pro Plus is awarded an overall alaScore™ of 82/100 = Very good quality. alaTest has collected and analyzed 43 user reviews of iON Air Pro Plus from Amazon.co.uk. The average user rating for this product is 4.0/5, compared to an average user rating of 4.0/5 for other Camcorders on Amazon.co.uk. Views about the image quality and design are on the whole positive. The portability and durability also get good comments. The reliability and price get negative views. alaTest has collected and analyzed 20 user reviews of iON Air Pro Plus from Amazon.com. The average user rating for this product is 3.3/5, compared to an average user rating of 3.9/5 for other Camcorders on Amazon.com. The nonrotating lens makes orienting shots at odd angles tricky. No SD card is included in the box. The standard Ion Air Pro is a rugged sports camcorder that is easy to use with many thoughtful features, but the addition of Wi-Fi and app connectivity makes it a truly standout camera. The camera was easy to setup and the wifi works just as smooth no complaints.